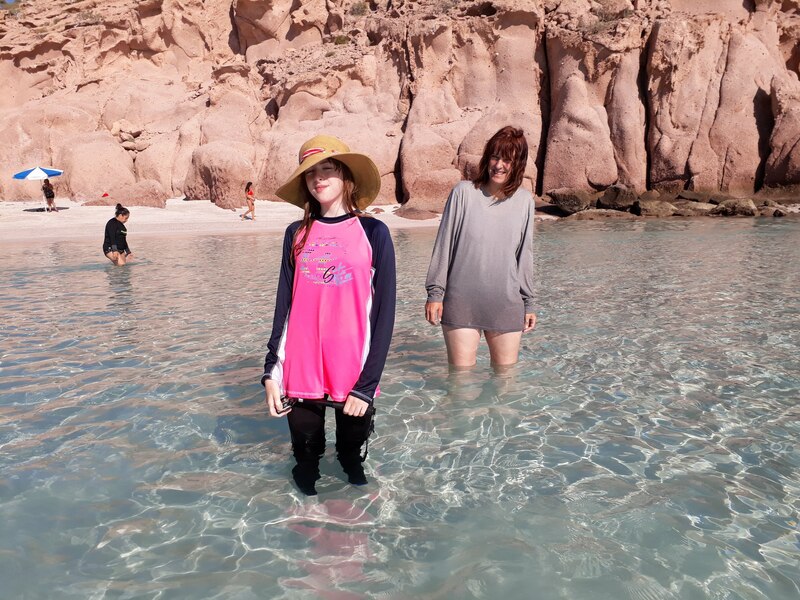 While we were researching what to do on our visit to Baja, Mexico we found out that no trip would be complete without going to see Isla Espiritu Santo La Paz. 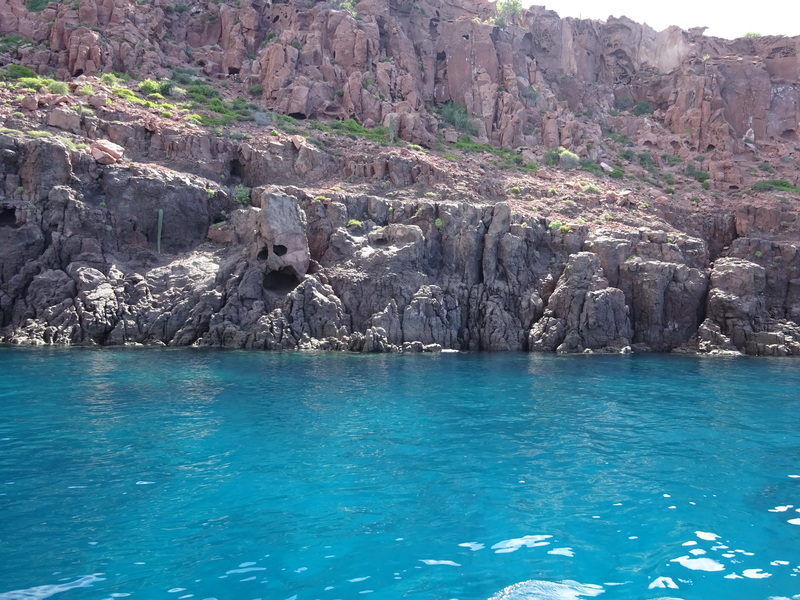 The island lies North of La Paz in the Gulf of California and is part of a UNESCO Biosphere Reserve. 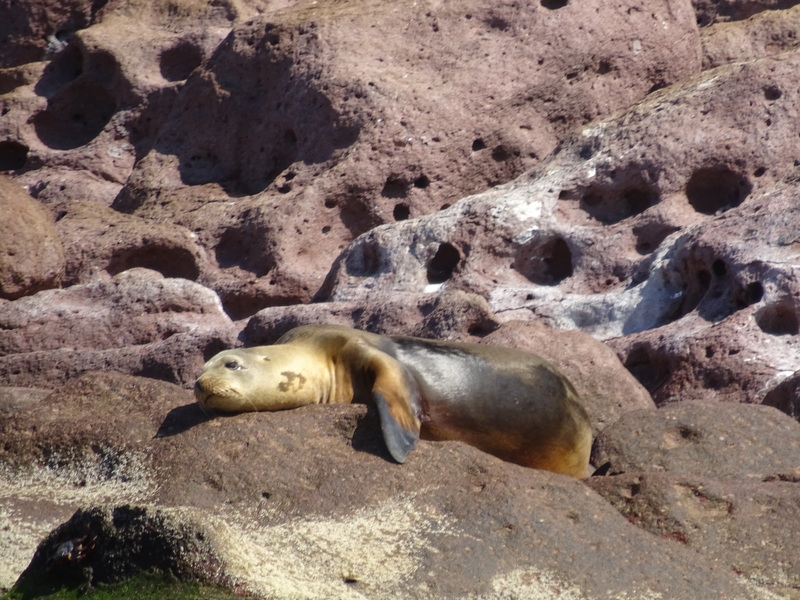 We’re not big on commercial tours but after reading that most trips stop off at a sea lion colony where you can get in the water and snorkel with these amazing creatures we definitely wanted to find out more. 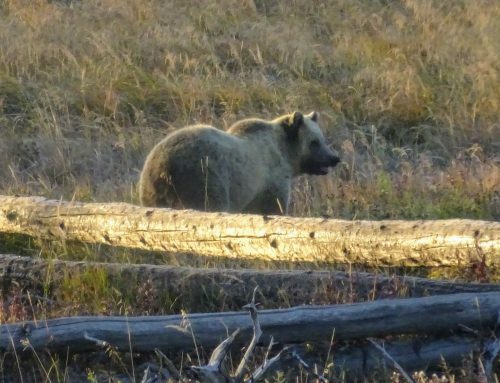 Luckily we made contact with someone who recommended a local guide to us. There are many tours operating out of La Paz so it was important to us to get a good recommendation. 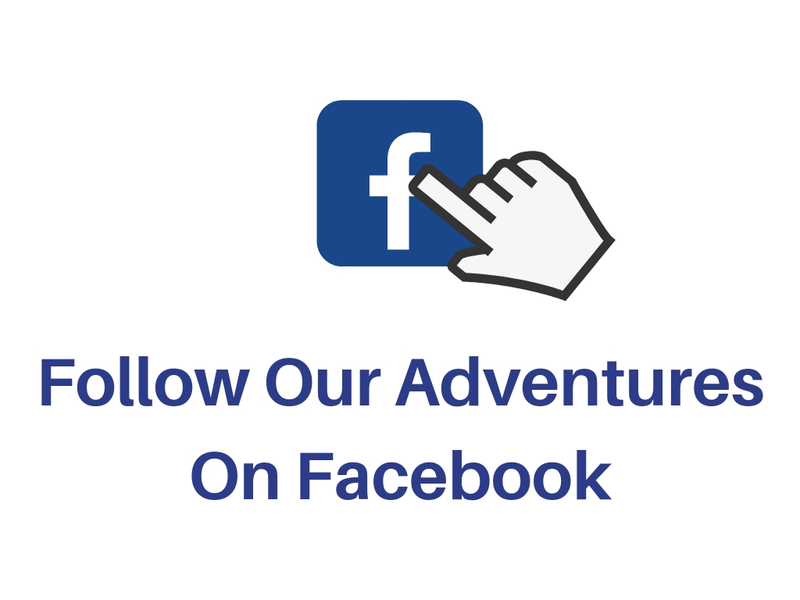 We contacted Benjamin the guide and discussed what the trip included and the ins and outs of what sort of boat we would be on etc. It sounded like it would be fantastic and the weather the very next day would be perfect so he arranged to come and pick us up from our Airbnb next morning. At 10 am the next morning Benjamin picked us up as agreed and we drove 20 mins North of La Paz town to Pichilingue beach where his boat is moored. 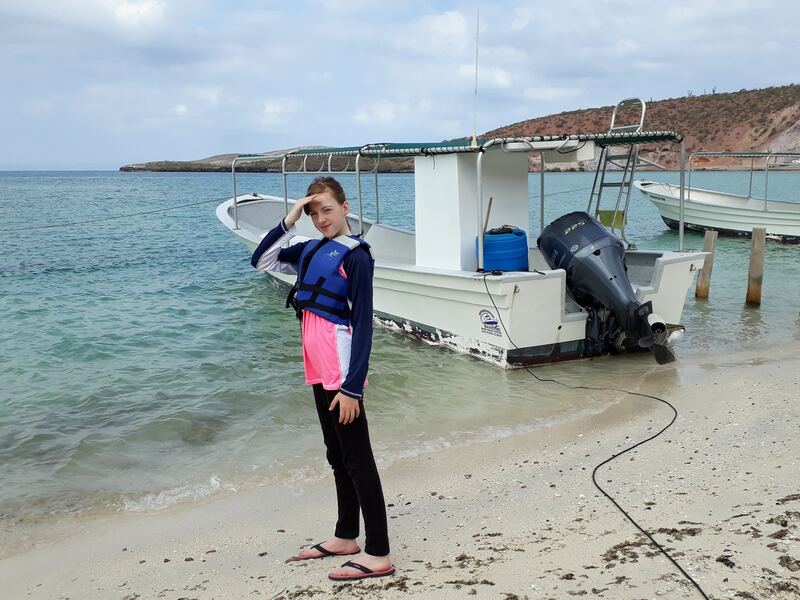 Before boarding the boat we had to select our snorkelling gear and try on flippers to make sure they were a good fit. By now some other people had arrived to join us on the trip and before too long we all boarded the boat and set off on our adventure. I suppose there must have been ten of us on the boat, so we had plenty of room as we listened to Benjamin’s safety instructions carefully. All the other passengers were Mexican but Benjamin did a great job repeating everything in English for us so we knew what was going on all the time. The boat captain took us out of the bay and then gave the engine some throttle to speed us up in the open ocean. One of our concerns was being protected from the very powerful sun but we were happy to see the boat had a good cover so we were able to get in the shade and not burn to a crisp. 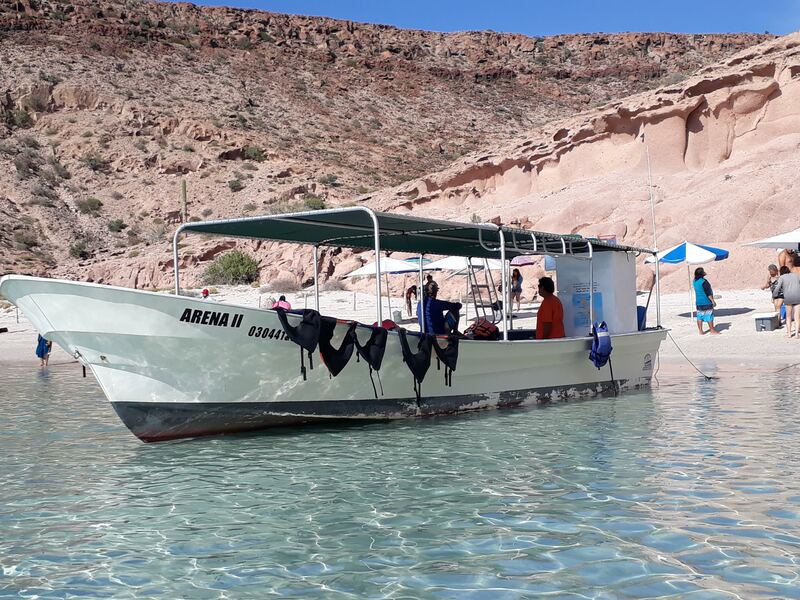 We sped past the stunning white sands of Balandra and other beaches before crossing the open water that separates Isla Espiritu Santo from the mainland. Heading into one of the sheltered bays, Benjamin pointed out the ruins of some pearl farmers houses along the shore before we came to our first stop to see Frigate Birds. 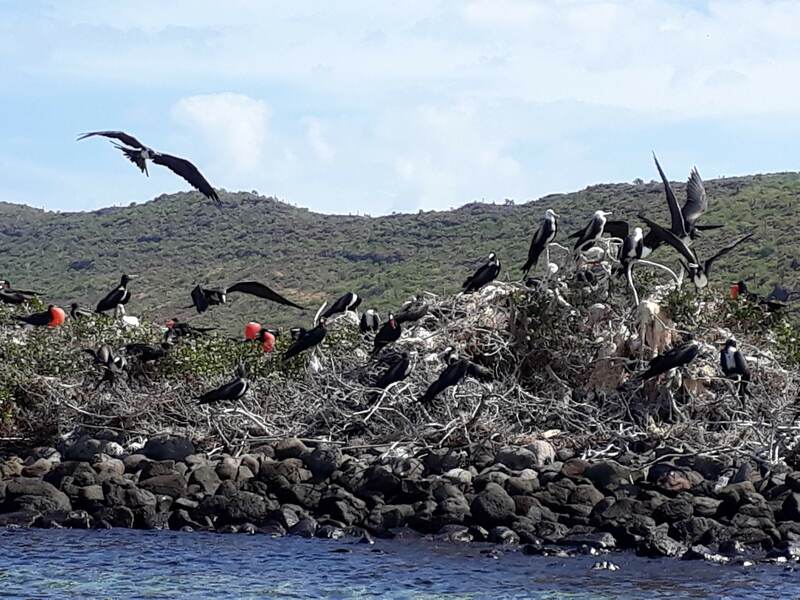 Along a rocky outcrop, hundreds of Male and Female Frigate Birds were nesting and in flight. 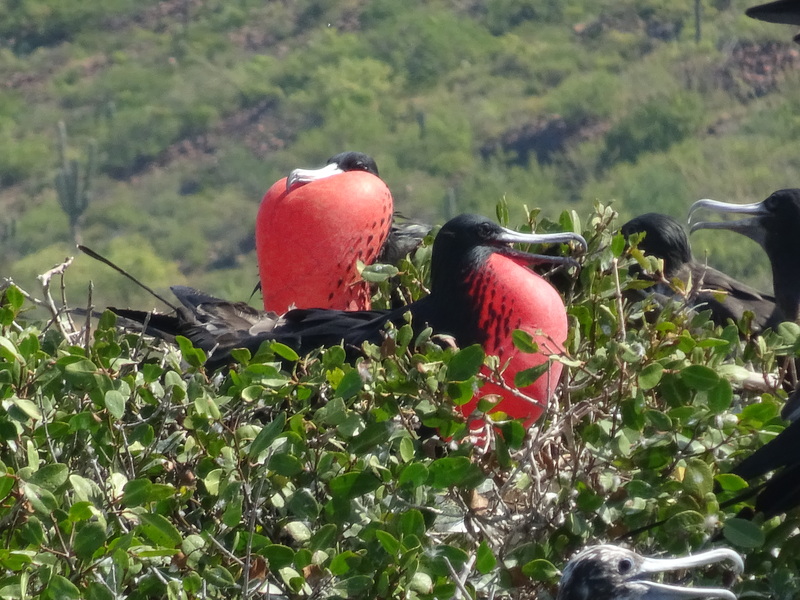 At this time of year, the birds were breeding and the males inflate a red collared pouch on their necks called a gular pouch to attract females which is really amazing to witness. After watching and photographing the Frigate Birds we left the bay to continue North along the beautiful coastline with its turquoise waters all around us. 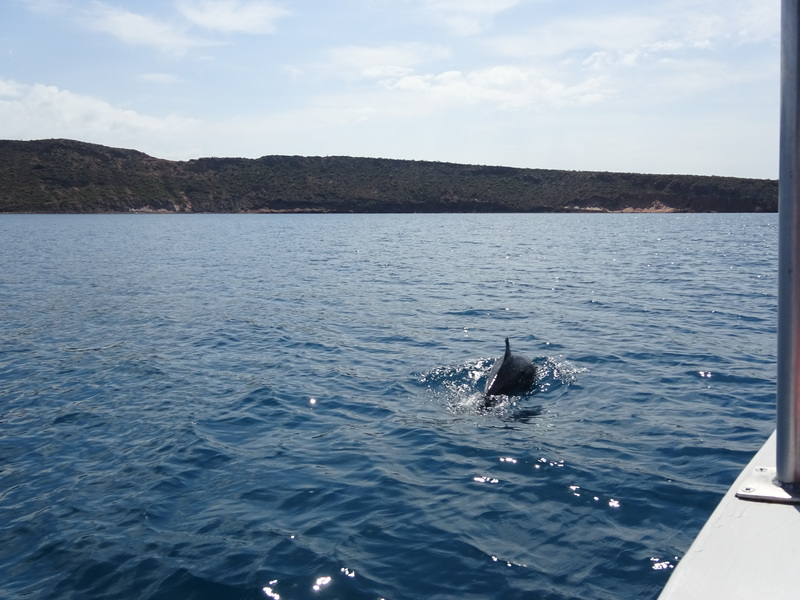 Once on the move again Benjamin’s keen eye spotted some dolphins in another bay so we manoeuvred to go and investigate. Sure enough, a dozen or so dolphins were swimming around and they immediately swam either side of our boat so we got great views of them. There’s something about dolphins swimming that is always such a joy to witness. Leaving the pod behind we continued on through the Azul waters but it wasn’t long before we spotted sea turtles popping their heads up above the surface of the water. 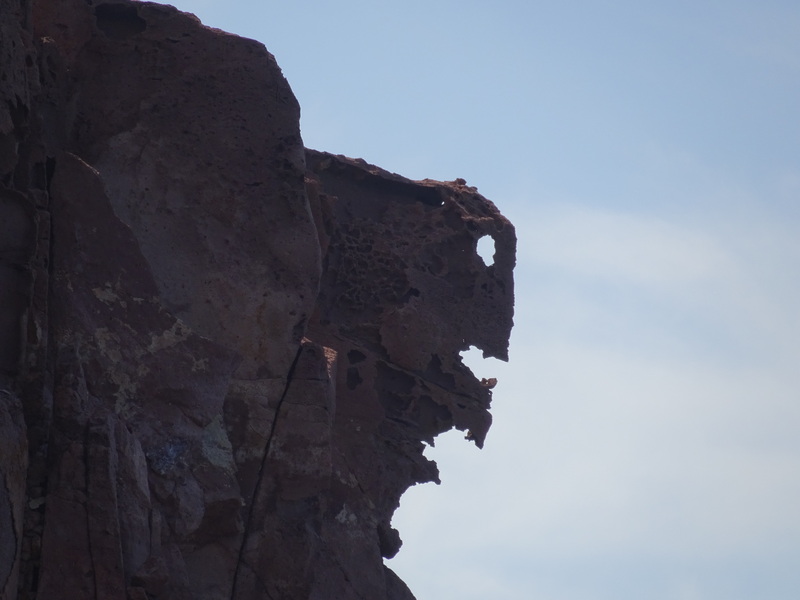 Benjamin also pointed out strange rock formations in the cliffs that looked like faces and animals as we went. In the distance, a small rocky island appeared and it wasn’t long before we heard the distinct sound of Seal Lions. Approaching the island we could see hundreds of Californian Sea Lions perched on the rocks sunning themselves and swimming playfully in the water. This was the feature event of the day and Benjamin had told us that there were huge shoals of Sardine below the water’s surface which would make our adventure even more amazing. Our excitement levels rose as we got into our snorkelling gear and sat on the edge of the boat ready to jump in. We all wore life vests which personally I like as it gives me confidence snorkelling in the deeper water. Sue was rather nervous at going in the ocean but after a little persuasion she realised that she couldn’t miss this opportunity and jumped in. Annabel, on the other hand, was in the water in a flash. 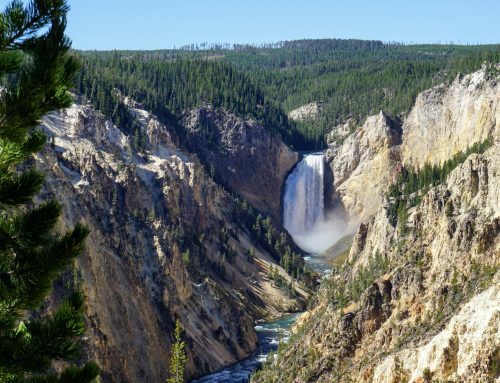 Once in we marvelled at the scene that opened up below us. There were brightly coloured tropical fish swimming all around and huge ball like shoals of sardine. Benjamin pointed out starfish on the rocks below and other things of interest as we snorkelled in a group. Sea lions dived into the water right beside us and became agile and elegant masters of swimming in the water around us. Annabel was in her element and even took her life vest off to dive down through a sardine shoal before returning to the surface. 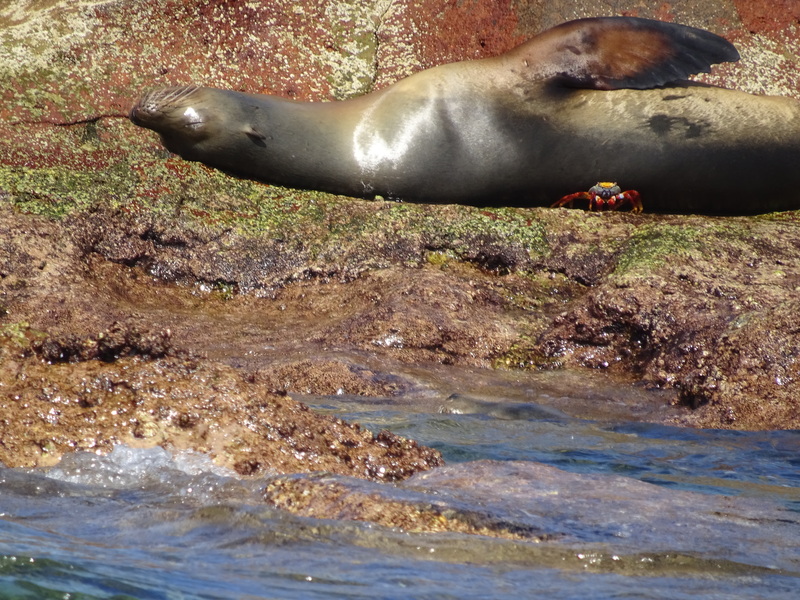 Can You See The Lovely Coloured Crab? We all swam around the island and into deeper water where some really big fish swam below us. 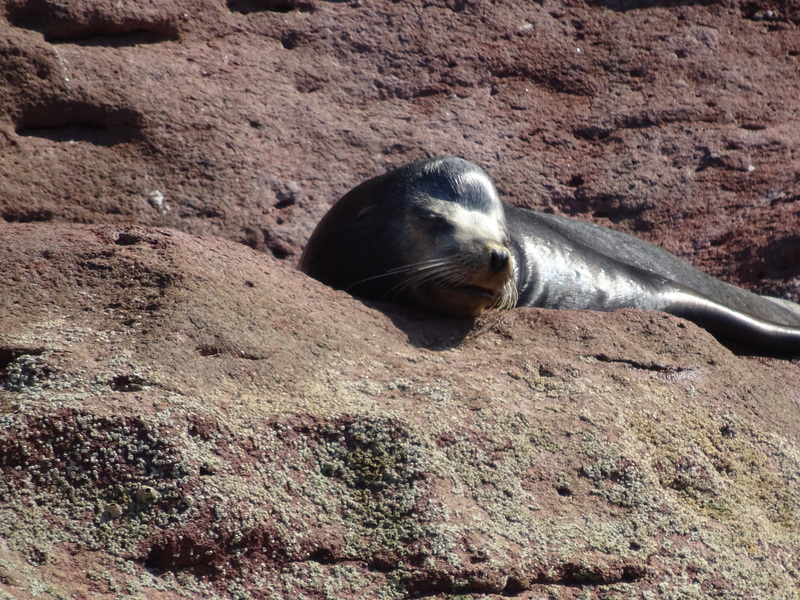 Benjamin showed us an area by some rocks where we could see about four or five Sea Lions diving down through the water, darting around us and back up to the surface. All too quickly it was time to climb back aboard our boat and leave the sea lions to continue their day as we continued with ours. Our captain guided the boat to a nearby bay where we climbed out into the shallow water to wade ashore and enjoy a lovely picnic on the sand beneath beach umbrellas. After eating we waded out into the crystal clear waters to do some snorkelling along a small coral reef that ran along one side of the bay. Benjamin swam with Sue and showed her all the underwater creatures including starfish. Annabel was again in her favourite environment swimming like the many fish around us. Soon it was time to leave the beautiful bay and head for home along the amazing coastline. It had been a long and exciting day and we arrived back to our mooring at 6 pm in the evening just in time to see the sun setting over the Pacific Ocean. 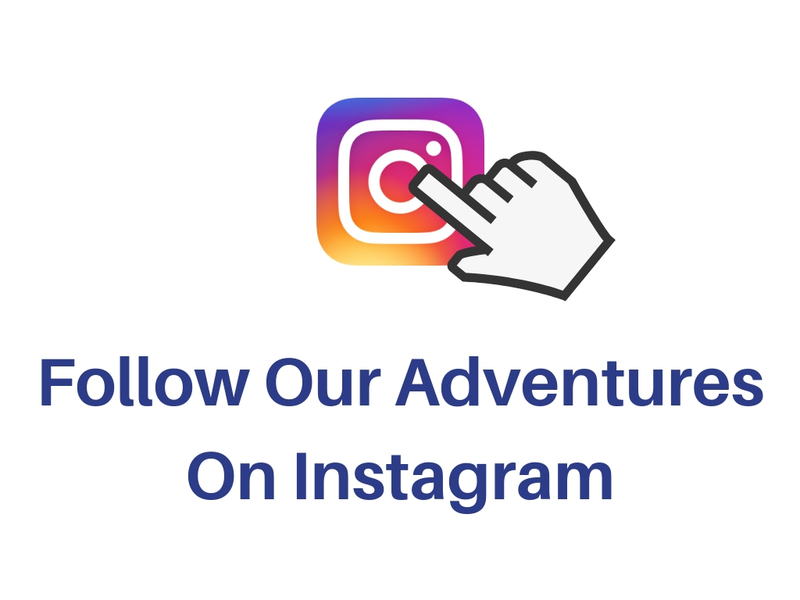 It’s impossible to truly describe in words what we felt about the experience of our day with Benjamin but all three of us said it was by far one of the best experiences we’ve had during our travels. 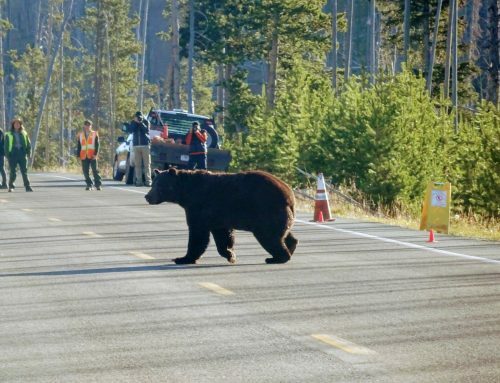 Sometimes there is an experience that you feel totally blown away by and will stay with you forever and this day was one of those spectacular moments in life. A big thank you goes out to Benjamin for making the day so amazing with his knowledge and helpfulness. 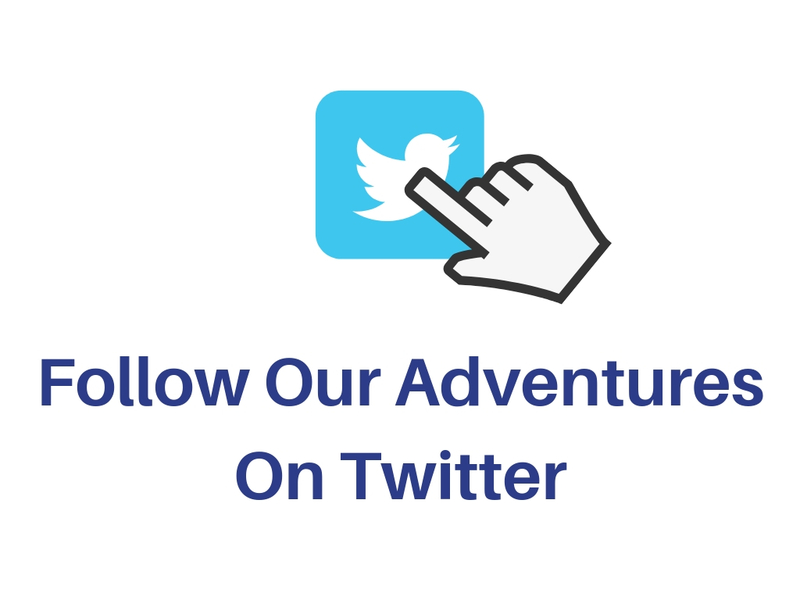 You can read all about the things we enjoyed doing in La Paz, Baja here.